Air Canada has announced it will ground its Boeing 737 MAX 8 jets until at least 1st July 2019. In an effort to ensure a degree of certainty for its passengers, it is removing the aircraft from all schedules, whether it comes back into service before this date or not. In a bid to restore customer confidence, Air Canada are voluntarily taking the 737 MAX out of service until at least the beginning of July. By removing the aircraft from all its schedules, the airline hopes to reassure customers that their flights will not be cancelled or changed once booked on. 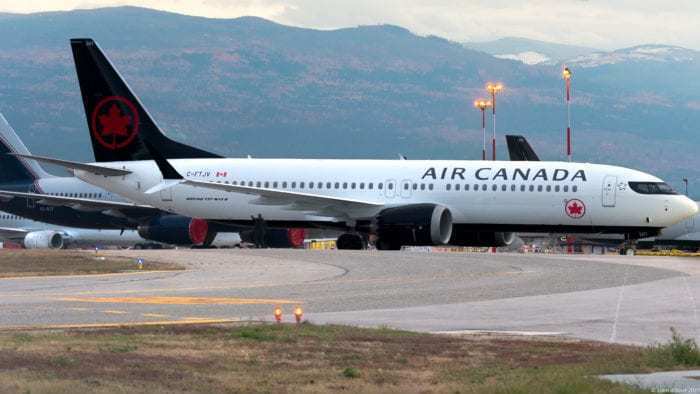 With the future of the 737 MAX hanging in the balance and no certainty as to when the aircraft may come back into service, Air Canada’s policy of striking it from the schedule is good news for customers. Overall, the 737 MAX accounts for around 6% of Air Canada’s flights, flying an estimated nine to twelve thousand passengers every day. They have a fleet of 24 737 MAX aircraft and were scheduled to take six more during March and April this year. Since the worldwide grounding of the MAX, Air Canada have been working hard to minimize disruption to their passengers. Their adjustment of flight schedules to the end of April has accommodated 98% of their affected operations. As well as this they are reportedly boosting the speed at which they’re taking their recently acquired A321s from WOW Air. 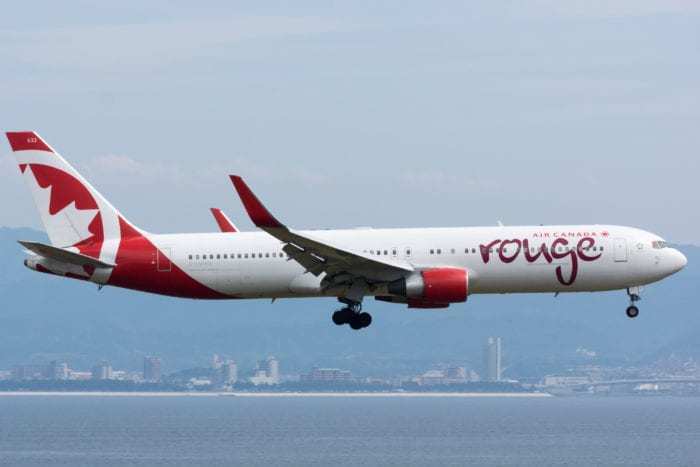 They have switched some Air Canada Rouge regional aircraft to work on the main carrier’s routes and have extended some leases for aircraft it planned to stop using. 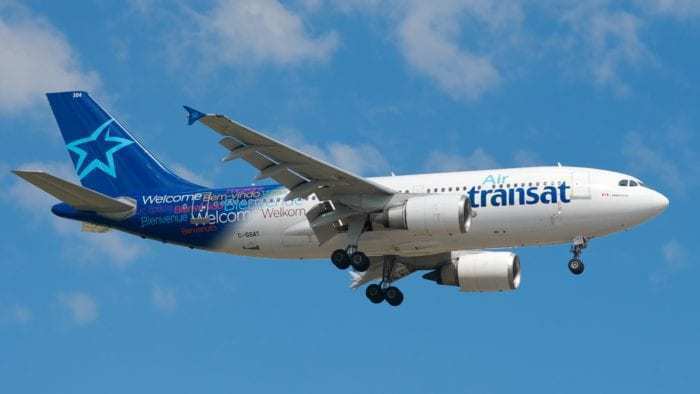 Air Transat will temporarily operate some flights on behalf of Air Canada in order to keep the greatest number of routes running. How will this affect your travel plans? 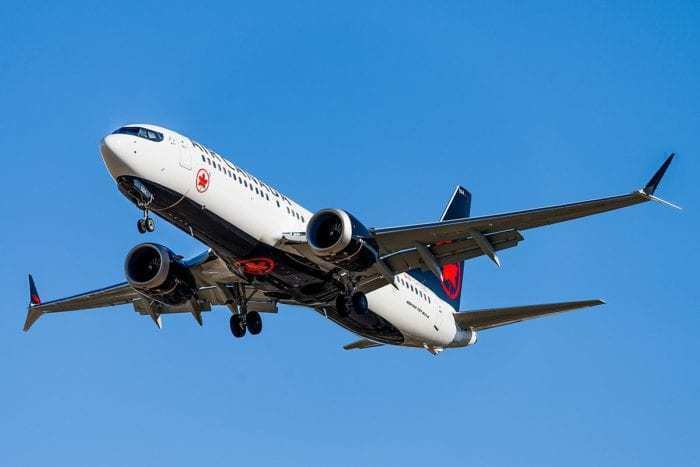 The Air Canada 737 MAX flights ban is intended to give passengers a little more certainty over their bookings. Rather than face schedule changes, equipment switches or cancellations, they want their customers to be confident that the trips they book will actually fly. Sounds like a pretty good plan to us. Customers who had bookings on these routes will still be able to fly. However, they’re likely to be rebooked to fly through other hubs. For a full list of changes to equipment and schedules, visit the Air Canada website here. Air Canada are notifying affected customers with outstanding bookings via email, and have updated the information in their Air Canada App. They have also implemented a policy which makes it possible for passengers to voluntarily change their itinerary within three weeks of their travel date with a full fee waiver. Those travelling in the next 72 hours are advised to call the reservations number – 1-833-354-5963 – or to contact their travel agent immediately. Will you be affected by the Air Canada 737 MAX ban? Let us know your experience in the comments.